On August 15, TripAdvisor, the world’s largest travel review site announced Japan’s top 10 best beaches. 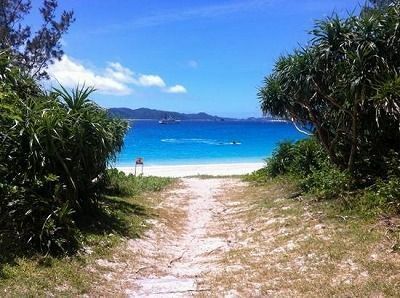 Furuzamami Beach in Zamami Island, Okinawa Prefecture that came in third last year won first place this year. Yonaha Maehama Beach in Miyakojima came in second, same as last year. In third place was Nishihama Beach in Hateruma Island, which was first place last year. While there were changes in the ranking, the beaches in the top three did not change. The top five were all Okinawan beaches. Seven beaches from Okinawa were nominated for the top ten and three of which made it to the top 10 for the first time. The top 10 beaches that were announced were based on tallying up numbers from traveler ratings and number of reviews from people around the world that were posted in the year between November 2016 and October 2017. Furuzamami Beach, which moved up two ranks since last year’s announcement, has a distinctive blue ocean that is called “Kerama Blue” by diving visitors. Many tropical fish also inhabit the many coral reefs that grow in the area, which many divers and snorkelers enjoy. Reviewers commented on how surprised they were to see such a variety of coral and fish, making it an ideal location for snorkeling. Some commented on how the ocean is much more beautiful than the resort beaches in Phuket, Bali, and Vietnam. Others mentioned how impeccable the beach is and that it is like the Dragon Palace from the Japanese fairy tale Urashima Taro. Sunayama Beach on Miyakojima came in fourth place.